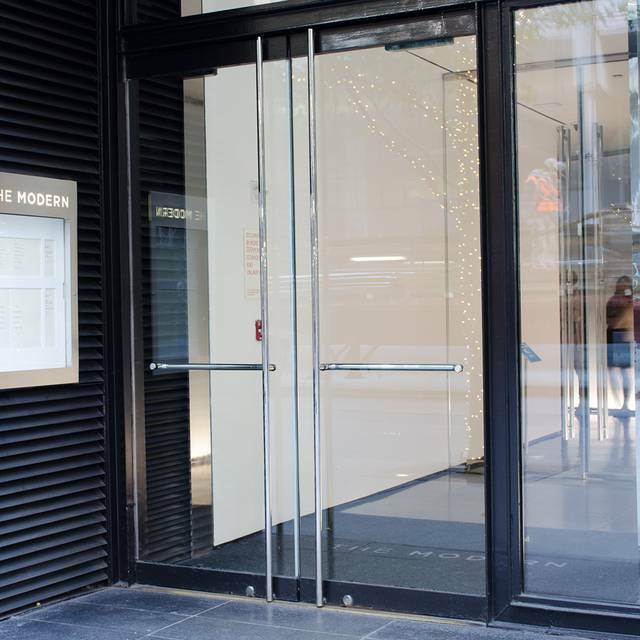 You must make reservations at least 5 minutes in advance of the time at The Modern. Lunch: Monday – Saturday, 11:30 a.m. - 2:00 p.m.
Dinner: Monday – Thursday, 5:00 p.m. - 9:00 p.m.
Dinner: Friday – Saturday, 5:00 p.m. - 10:00 p.m. There is street parking, as well as a public car park across the street from The Modern. 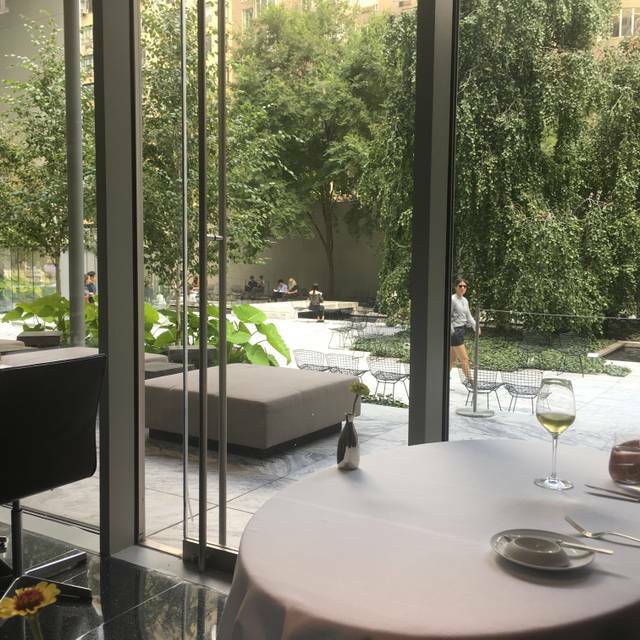 Private Dining at the Modern consists of one magnificent room which features floor to ceiling windows overlooking the Museum's Abby Aldrich Rockefeller Sculpture Garden. The space can accommodate up to 64 guests for seated functions and up to 80 guests for receptions. 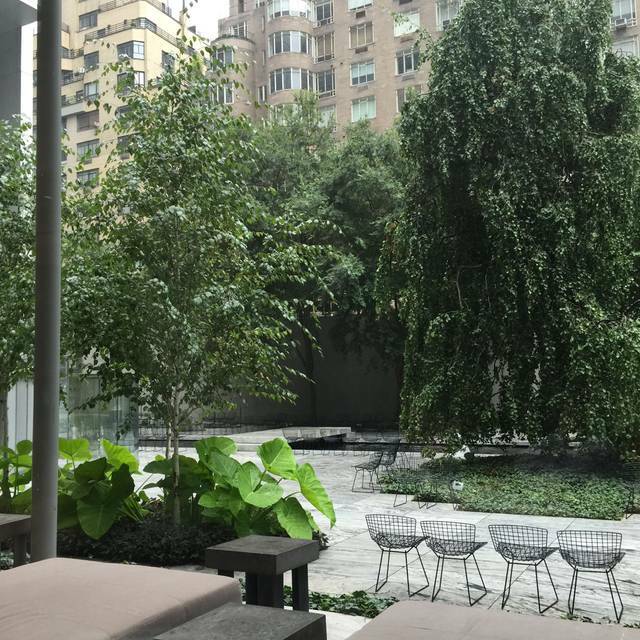 The Modern is a 2 Michelin-starred contemporary American restaurant at the Museum of Modern Art. Helmed by Executive Chef Abram Bissell, the restaurant features refined, playful dishes that highlight exceptional ingredients and seasonality. 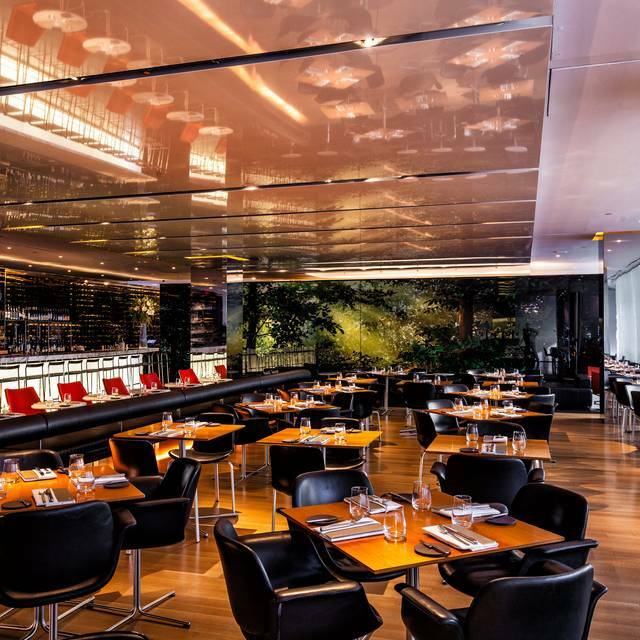 Lunch offers a $138 three-course menu or $178 six-course menu. Dinner at The Modern is a 7-course menu, involving a few choices on your part, as well as some courses that the restaurant are excited to share with you, bringing a sense of surprise to your meal while also mediated by your own tastes. 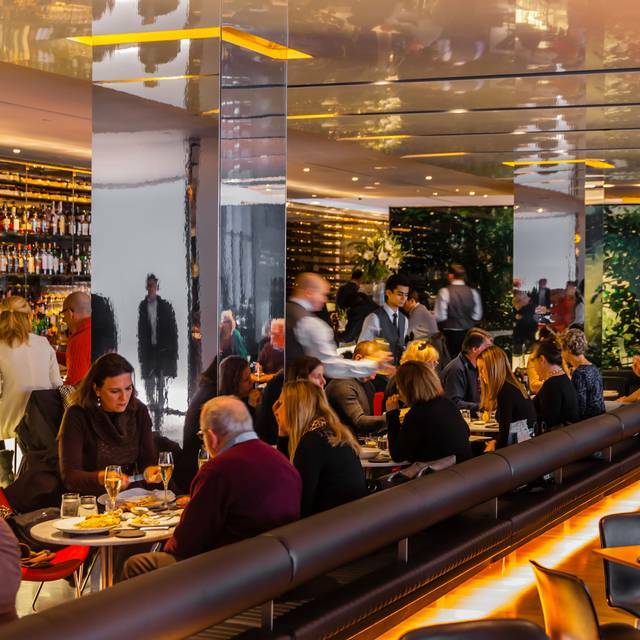 Dinner is $228 per person, with the option of wine pairings. 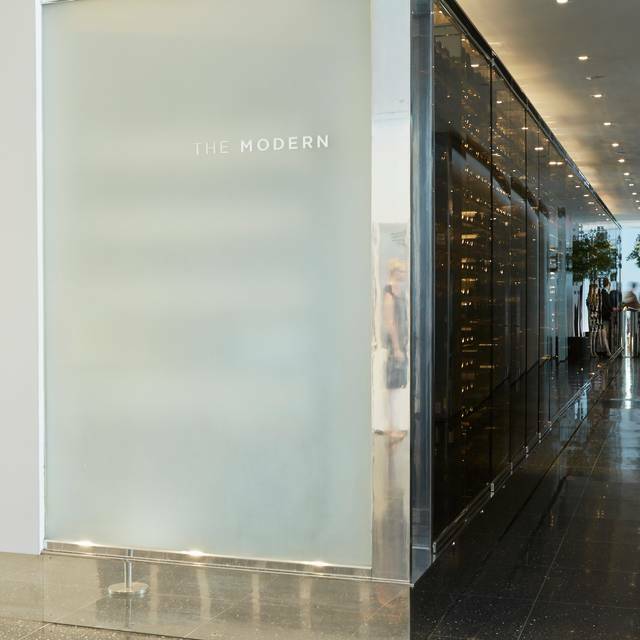 The Modern accepts reservations 28 days in advance. Please join us for Mother's Day featuring special menus in both The Bar Room and The Dining Room! Please join us at The Modern for a special Easter lunch with a 3-course menu at $158 per person. The menu and the wine are great for the value of 2 Michelin stars. I wish the lunch menu should have more options. Next time I go, I will try the bar menu is more selection. The service team is wonderful. The tasting menu was outstanding. The cheese course, all American cheeses ,is wonderful! Great food and exceptional service -- never overbearing but like a classic ballet, always graceful and timely. Service is always great (that the secret behind Danny Meyer's places). Food is always good but servings a bit small. I always like to go there, esp when having business lunch. THE WORST Michelin I’ve ever tried. If you agreed with me please thumb up to let more pp know. And my server, she kept me waiting for like 10 more min to give me menu without any introduction. Even when I asked for introduction, she just simply described how to order, without any specific dishes introduction. Dining - 7 courses cost nearly $300 and spent nearly 4 hours. (From 7:30 to 11:30, that’s crazy! I was gonna fall asleep!) That’s completely not worth the money! I spent around 10min for each and the rest of nearly 3 hrs I was waiting. Don’t go here if you r not a patient eater like me. Taste - if I could only choose one word to describe, that’s “hopeless”. I became even more upset when the next dishes showed up. It’s just average taste you can eat in any other regular restaurant. I don’t really see any Michelin creativity inside the food. The bread in the starter is extremely hard, not possible to eat. The main dishes left me NO IMPRESSION that I can’t remember what I ate that day. The dessert was too sweet. 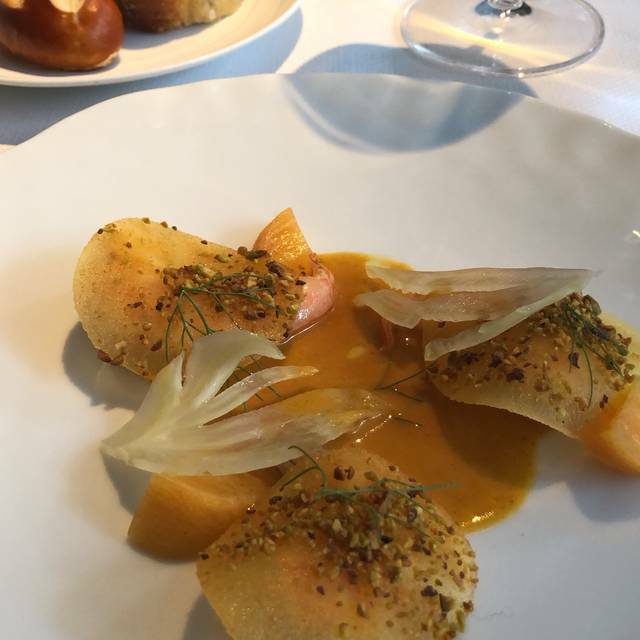 More importantly, no interconnection between dishes, I really don’t understand why it’s Michelin and 2 star!? Seriously?? The food was excellent. It is currently a two star Restaurant and it certainly deserves a third one. The service was professional, prompt, but not intrusive. We appreciated that very much. If you have the money or are willing to stretch a little bit it’s a wonderful evening dining experience. The Sea Bass with wild mushrooms was outstanding as was the apple radicchio with buttermilk starter. Very open and airy layout of the dining hall. We like the ambiance a lot especially with the great view outside. Top quality food, every bite is delicious. Serving is on the small side. During busy hours, service can be a little slow. We waited a long time until the bread arrived. Flawless lunch at The Modern. My thanks to the chef and impeccable staff at The Modern. Thoroughly enjoyed our 7 course meal with wine pairings. The Egg on Egg on Egg dish is unbelievable! Service was impeccable and the birthday surprise was outstanding! Great meal! Definitely worthy of two stars. Excellent experience. The egg brioche caviar was heavenly. Dessert was pretty good. Extraordinary experience from the staff to the cuisine. The evening was memorable. Wonderful experience. Excellent wine pairings. This is a remarkable special-occasion experience. They serve the kind of food that demands careful attention. Fascinating tastes and artist-worthy presentations. All served by a super knowledgable and helpful and friendly staff. We're going to make it a regular place to go for our very special events. Outstanding in every way. Every course was superb. Very impressed on our first visit. Tried 6-course. Will definitely try more. Window seats are fantastic. As always, The Modern never ceases to amaze. The food, the service, the wine pairings, you cannot go wrong here. 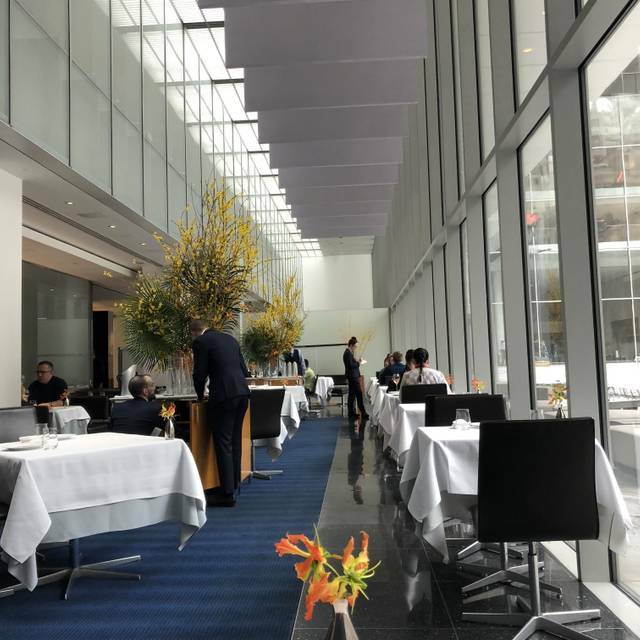 This was our first time enjoying lunch at The Modern, and it was as delightful as dinner. Freaking Amazing...better than Par se!! You will not be disappointed!! Me and my wife had a great time here. We splurged a little bit and came here for their 7 course dinner. All I can say is that it was worth every penny and I tried a few things that I would have never have tried before. Adding the wine parings was a fantastic choice and go ahead and get that cheese plate, it’s worth it. We were absolutely floored by the quality of service and food here. One of the best meals we've had in a recent while. The wine pairings could not have been better fit. If you are dining at the bar room, request Cesar - he will take very good care of you! During our five days in New York City, we dinned at five well reviewed, well rated restaurants. The meal we had at the Modern was the best we ate. We look forward to eating in the Modern on our trips to the City. I also appreciate the fact that the tip is included in the price. Third time back and it never ceases to amaze. We got the three course meal and enjoyed the very refreshing play of flavors, from the mouse bouche all the way to the well crafted and original desserts. Simply amazing! Flawless execution of food and service...wonderful experience! 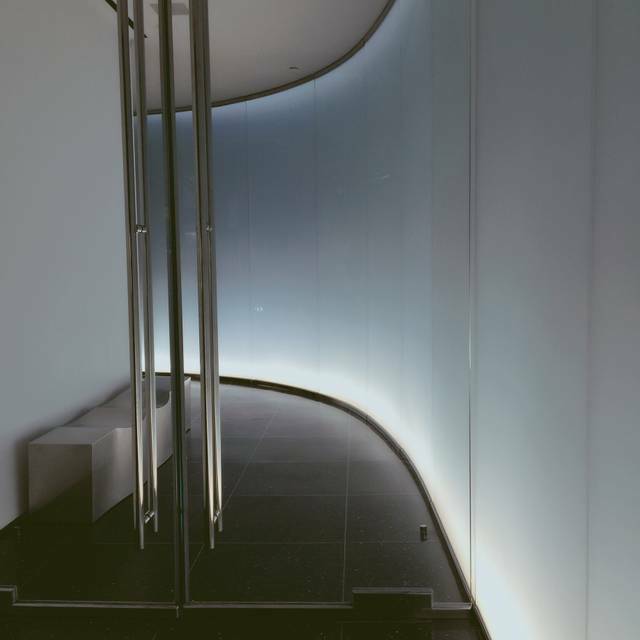 Knowledgable, friendly staff that had impeccable attention to detail. The price on the tasting can be daunting, but the amount of food you receive at such amazing quality is worth every penny.